Is your favorite steak knife basically a butter knife at this point? If you’re anything like me, you probably haven’t been willing to shell out the money for a high-tech knife sharpener. If you love quality products but hate the prices, you’re in luck! 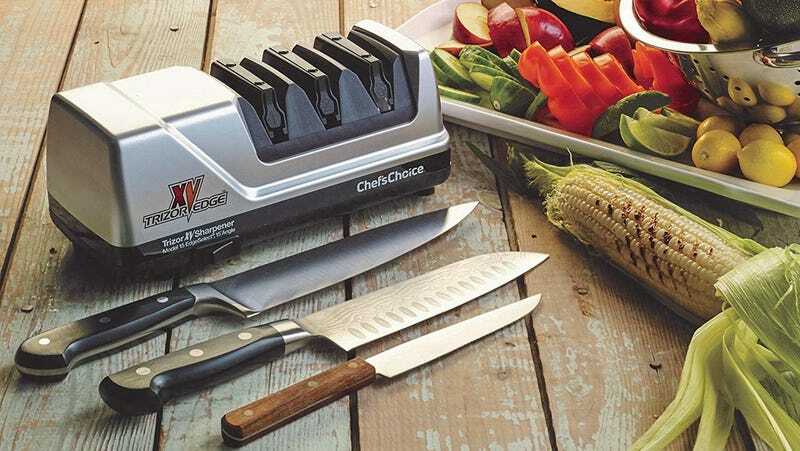 The Chef’s Choice electric knife sharpener is $40 cheaper than on Amazon. With over 1,200 Amazon reviews and 4.5 stars, this is a product that looks to be well loved. The first time you use this 3-stage sharpener, it will take 60 seconds, and every following sharpening is only 10 seconds. What&apos;s the Best Kitchen Faucet?